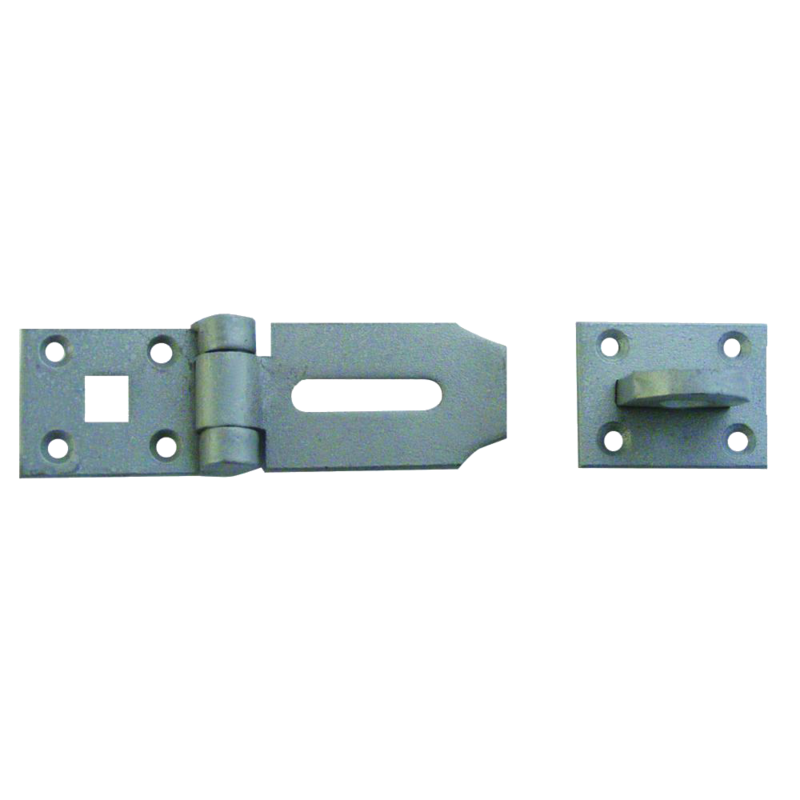 Steel hasp & staples, 80mm & 100mm with hardened steel staple and hinge pin. 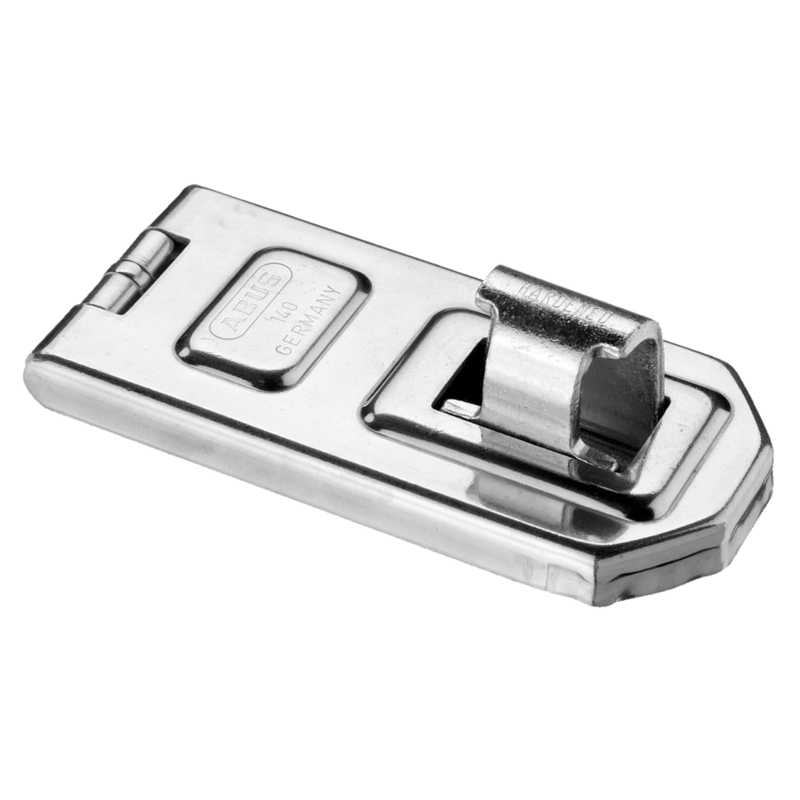 For use with padlocks up to 11mm diameter shackle, ideal for securing gates, sheds, garages etc. 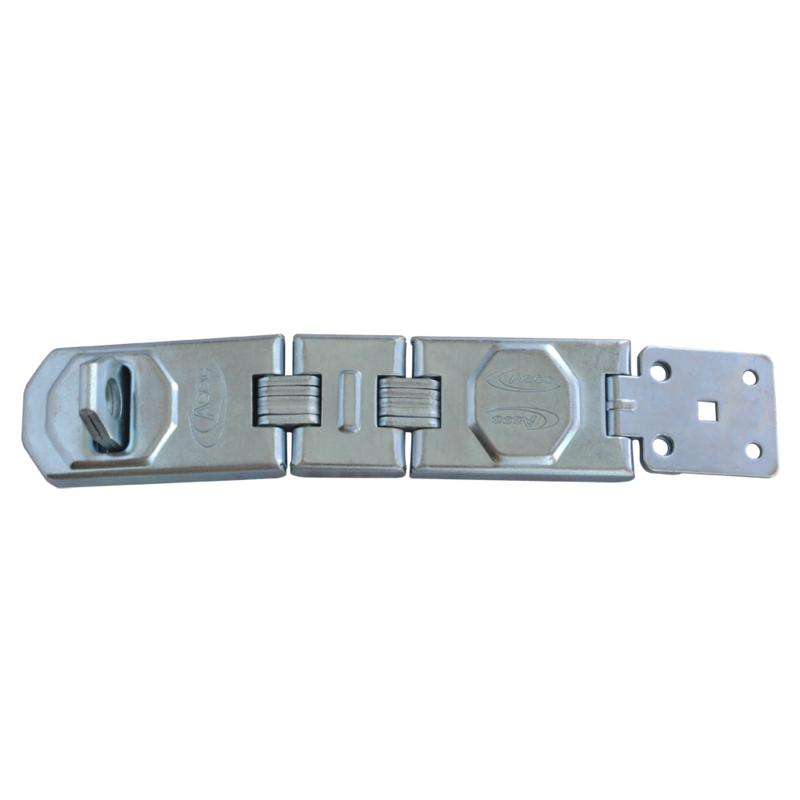 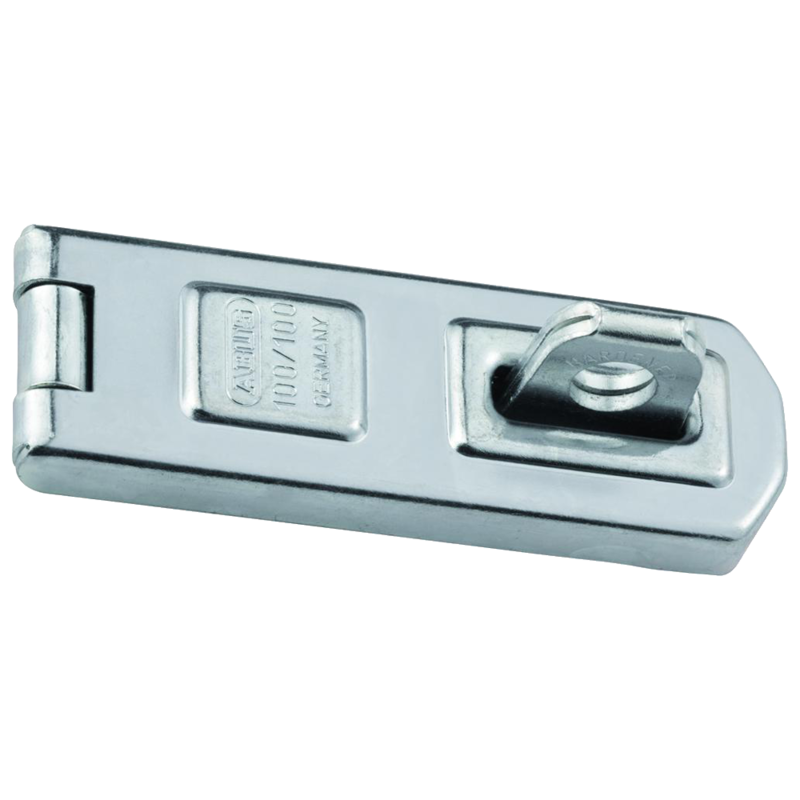 Tough steel hasp & staple with hardened steel staple and hinge pin. 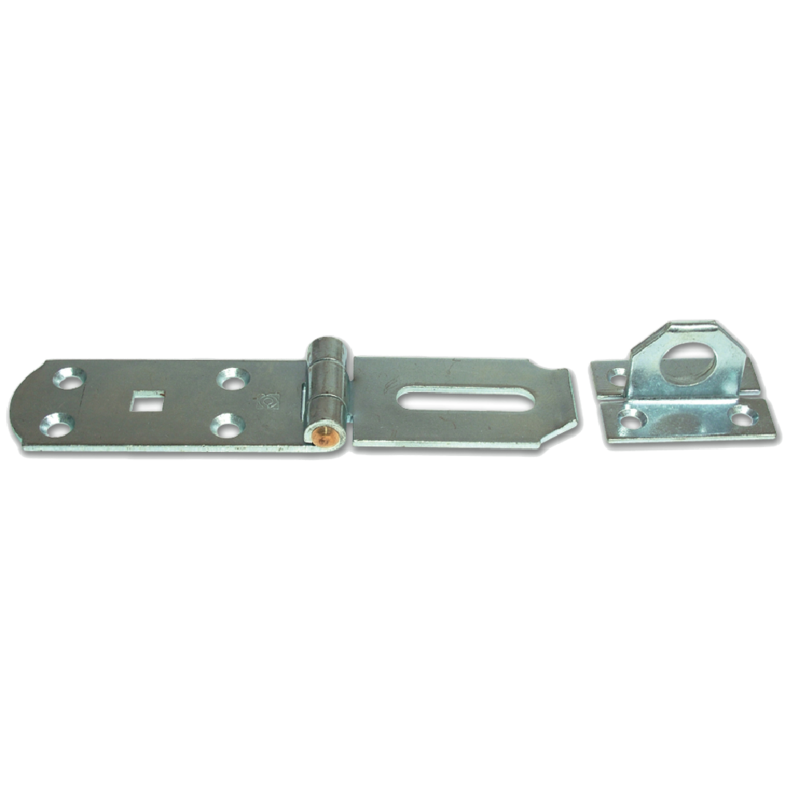 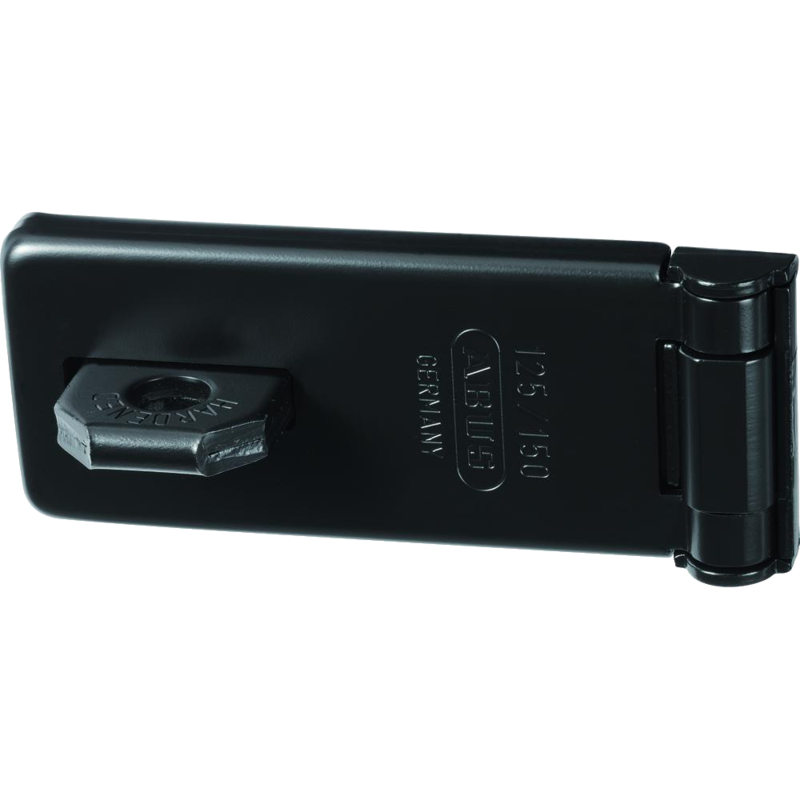 Features a hinged hasp for extra security and idea for use with padlocks up to 13mm diameter shackle, ideal for securing gates, sheds, garages etc. 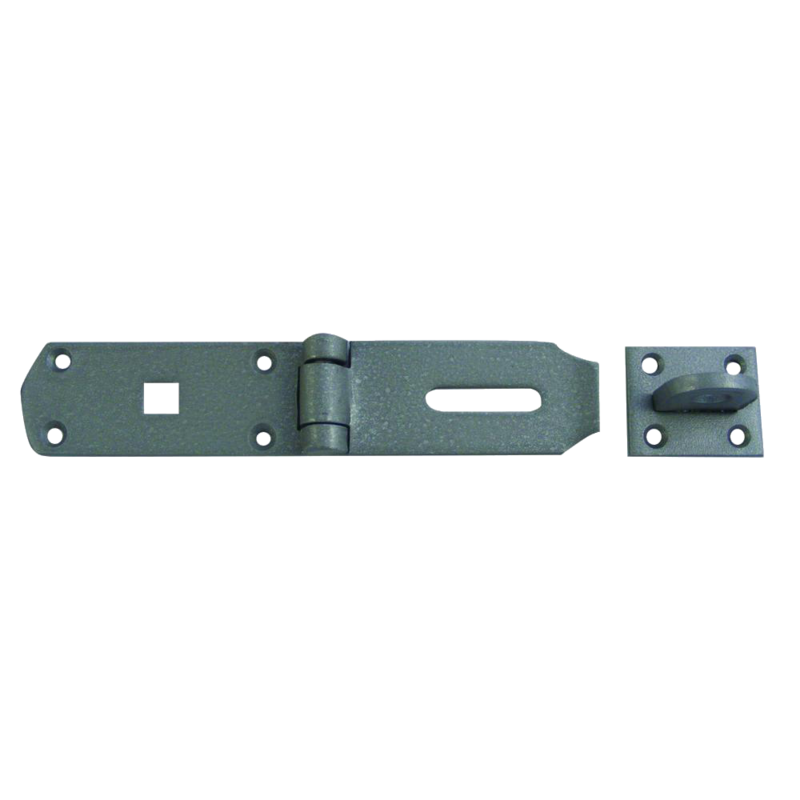 Steel hasp & staples with hardened steel staple and hinge pin. 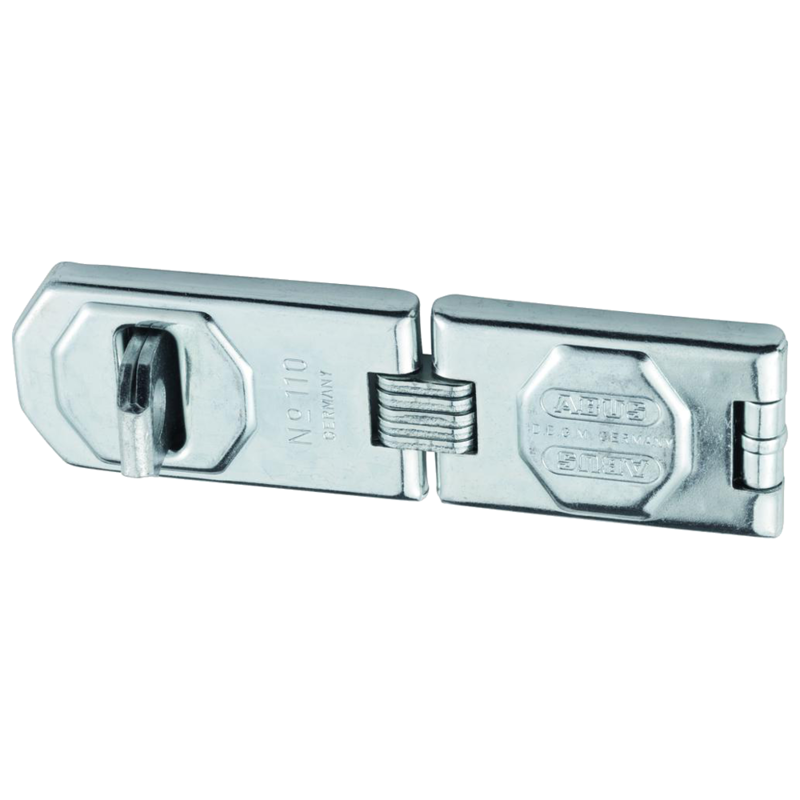 For use with padlocks up to 14mm diameter shackle, ideal for securing gates, sheds, garages etc. 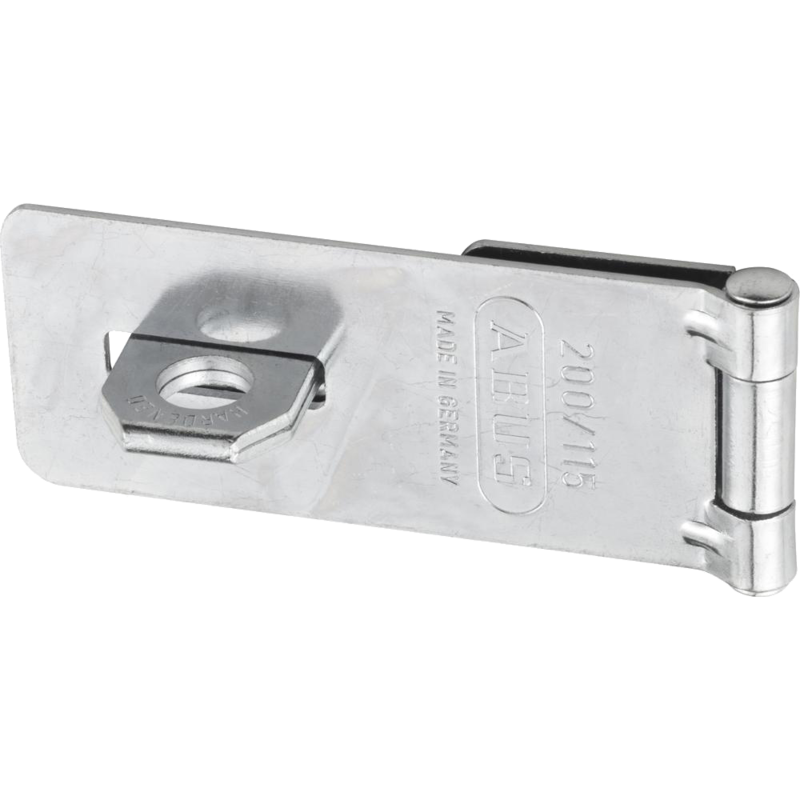 Multi-purpose hasp and staple. 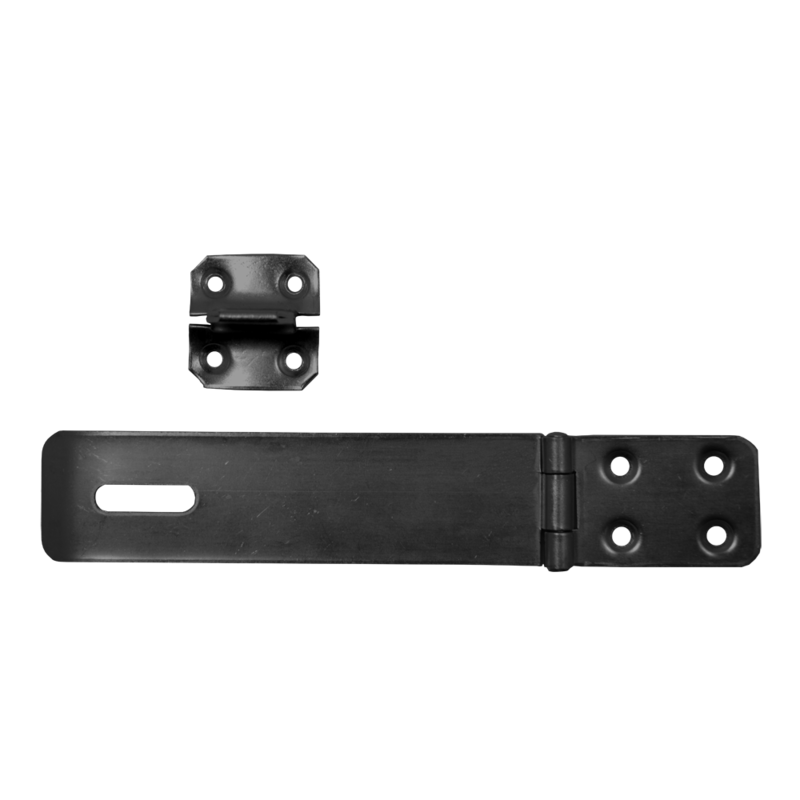 From 155mm upwards the staples are hinged. 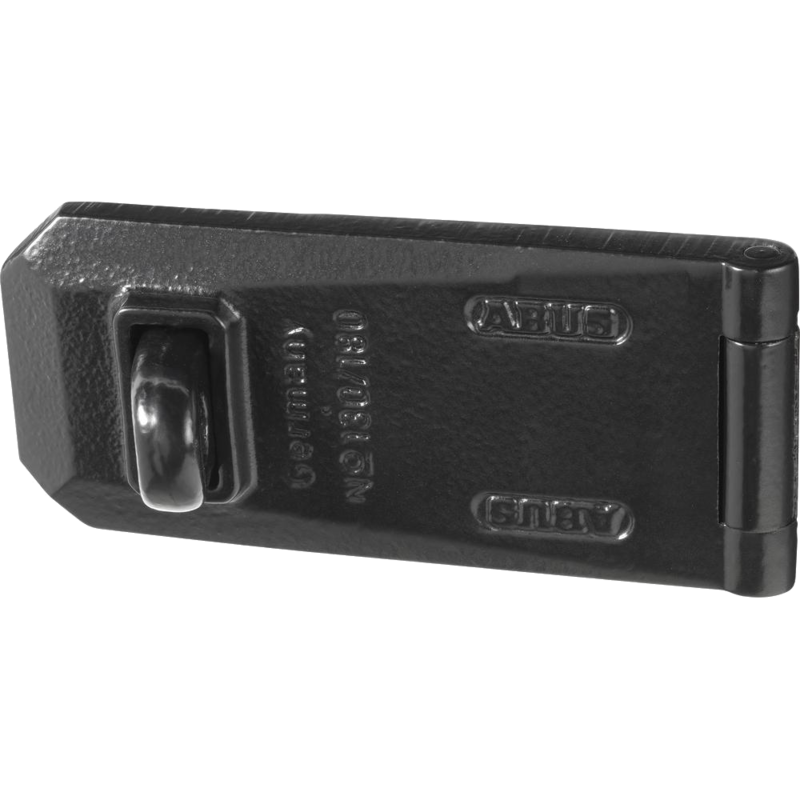 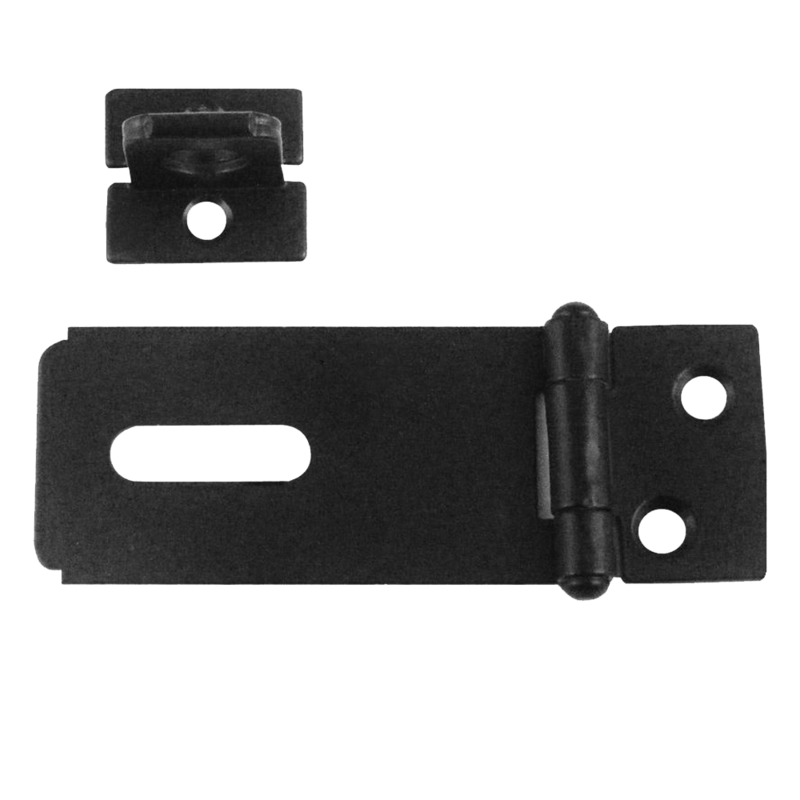 A traditional pressed steel hasp and staple with concealed fixings.